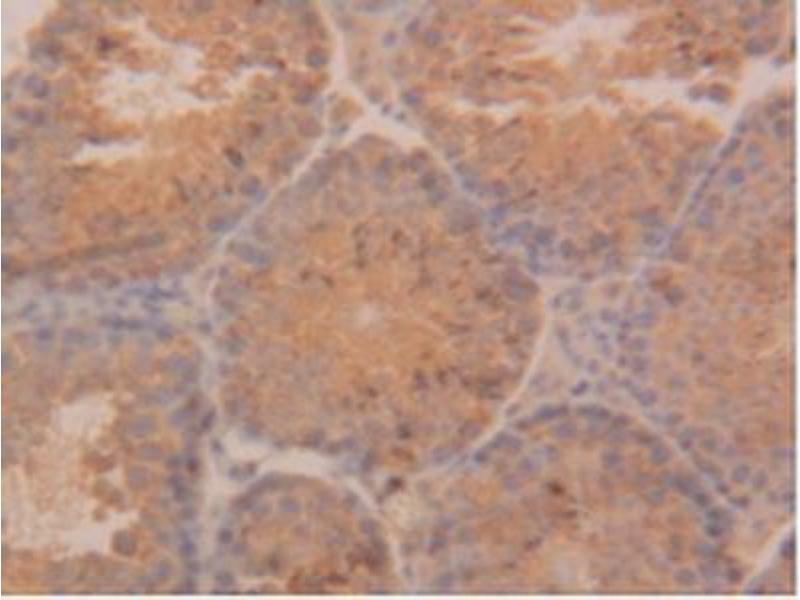 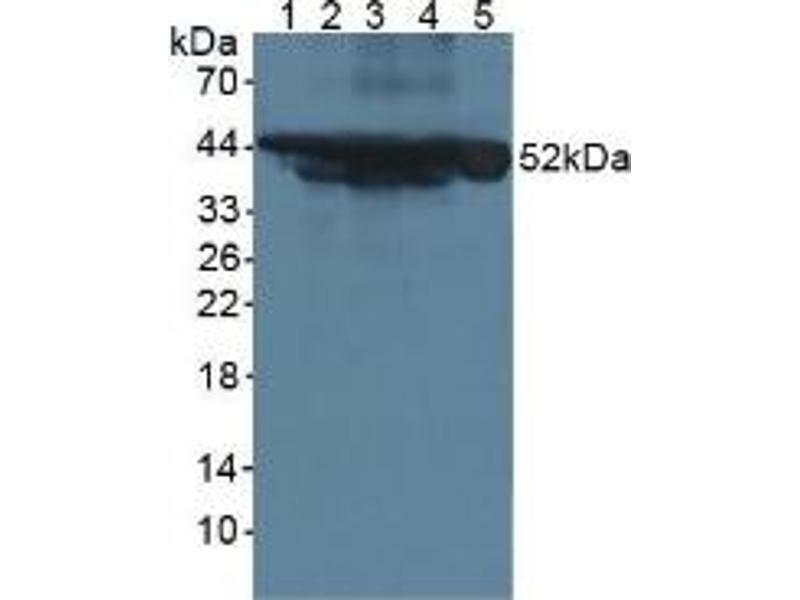 Western blot analysis of (1) Mouse Serum, (2) Mouse Intestine Tissue, (3) Mouse Pancreas Tissue, (4) Mouse Liver Tissue and (5) Human HeLa cells. 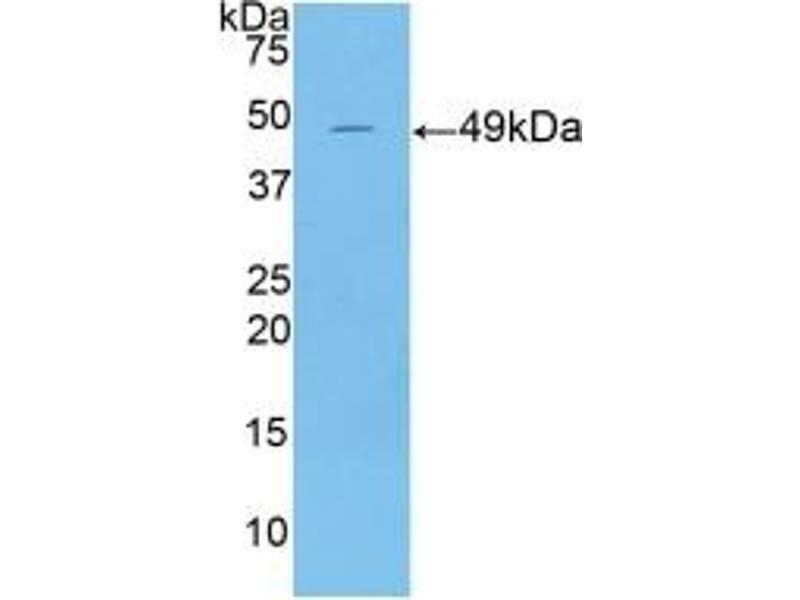 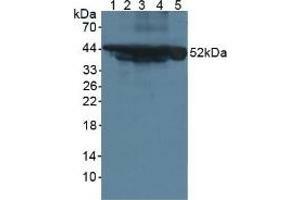 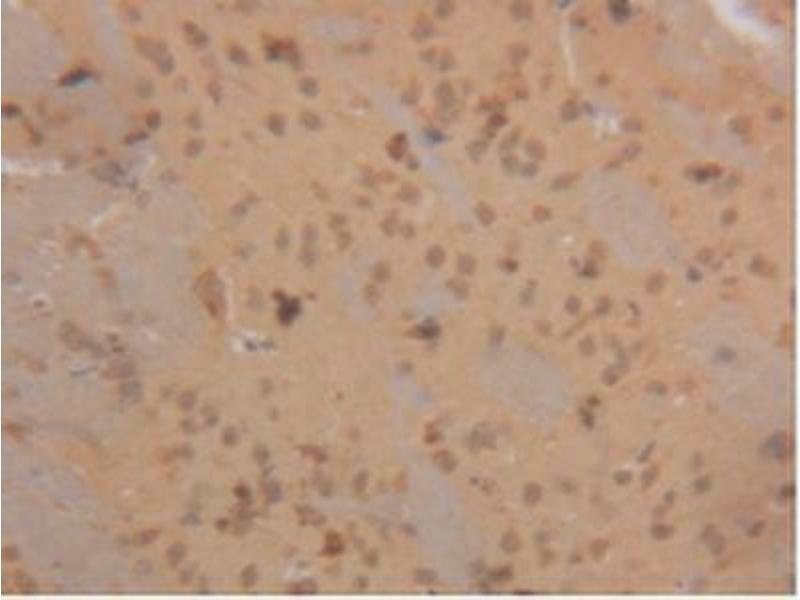 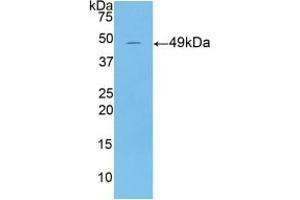 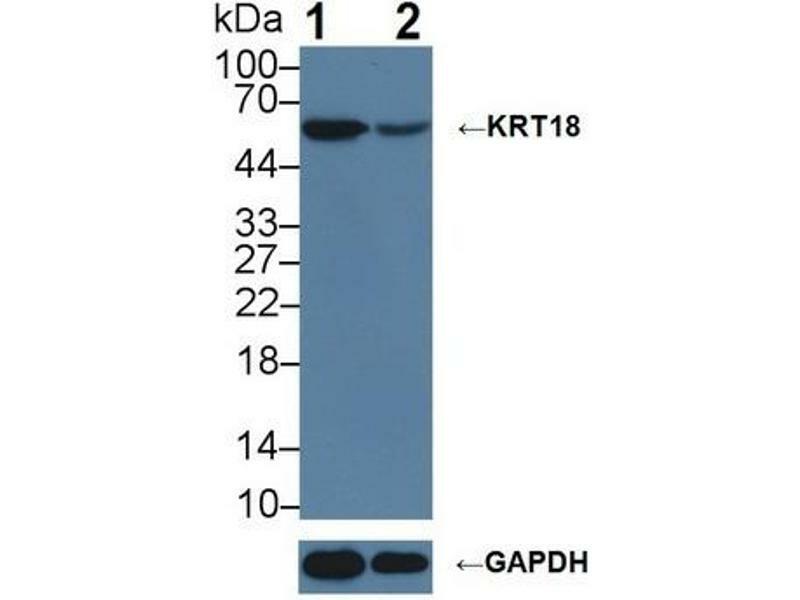 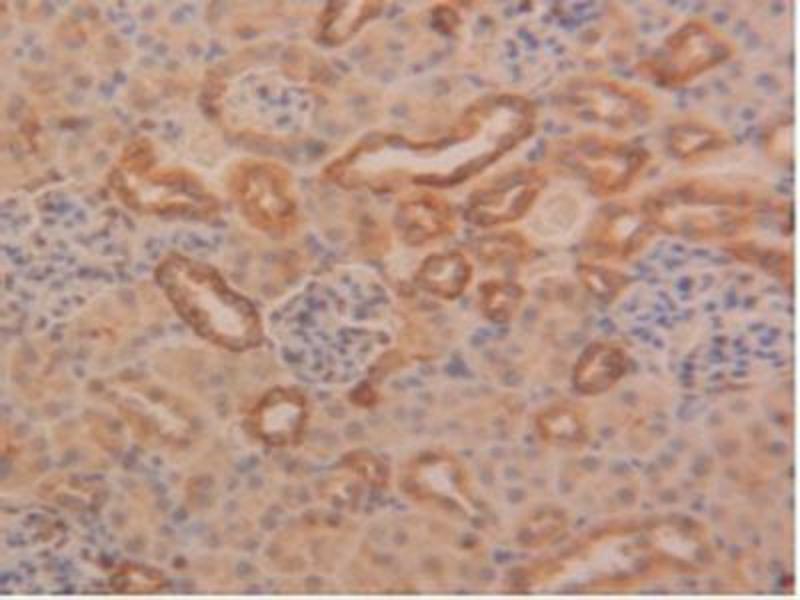 Western blot analysis of (1) Wild-type HeLa cell lysate, and (2) KRT18 knockout HeLa cell lysate, using Rabbit Anti-Mouse KRT18 Antibody (1 µg/ml) and HRP-conjugated Goat Anti-Mouse antibody (abx400001, 0.2 µg/ml). 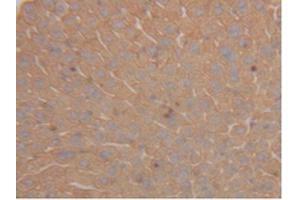 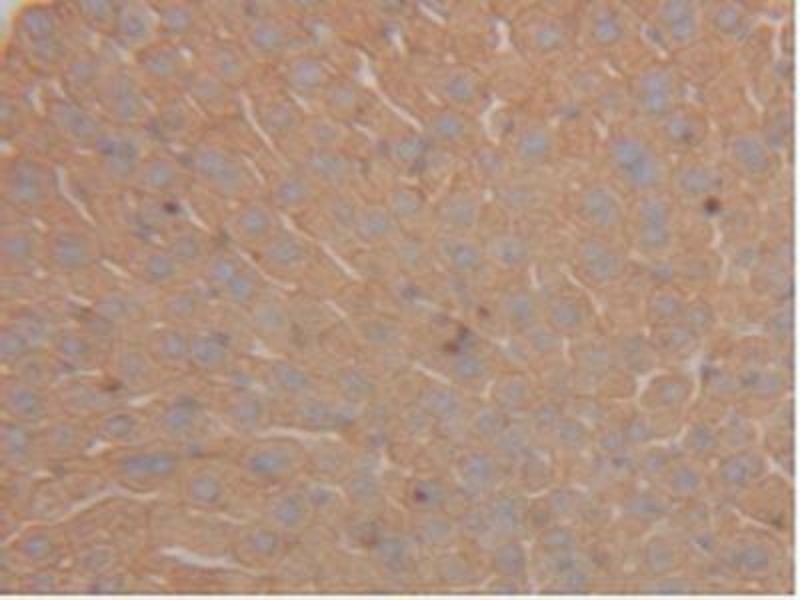 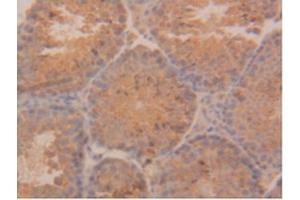 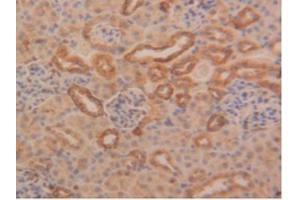 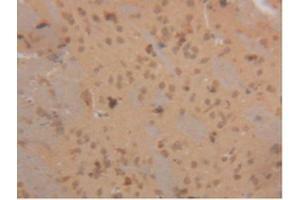 Western blot analysis of recombinant Mouse KRT18.